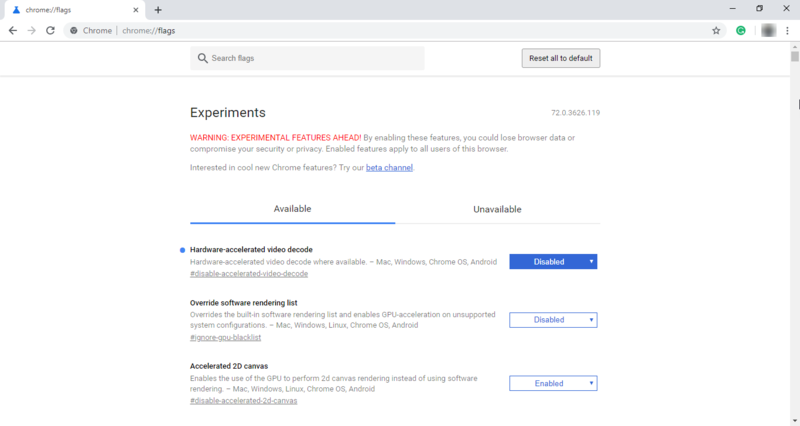 In the most popular browser, Google Chrome, among other useful features, there are some hidden experimental functions that may be useful for users. One of them is a password generator, which is built into the browser. 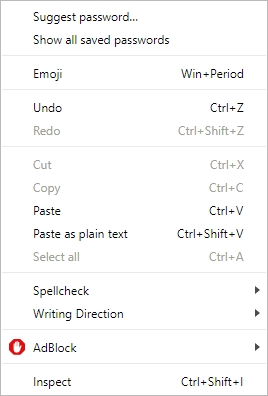 Let’s take a look at how to enable this feature (if it wasn’t automatically turned on after the last browser update) and how to use it. To enable the feature, you must log in into the Google account in your browser. After logging in, you can proceed directly to turning on the password generator. Type chrome://flags in the Google Chrome address bar and press Enter. 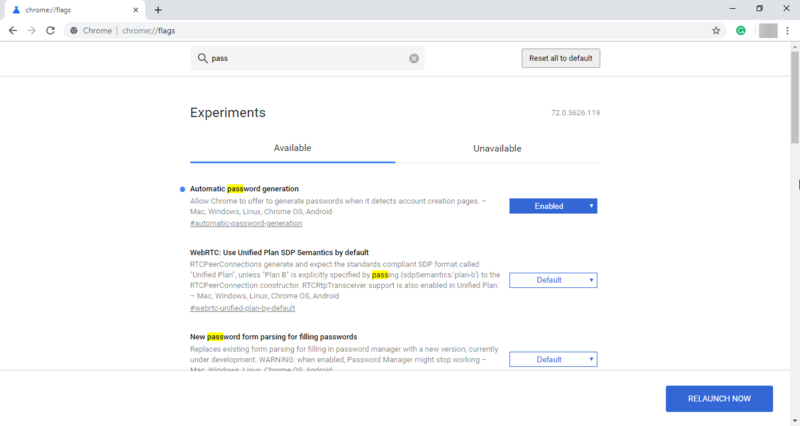 A page with available hidden experimental features will be opened. In the search field at the top, enter “password”, so that we can sort out the displayed items and see only those that are related to passwords. You can also enable the Manual password generation option. 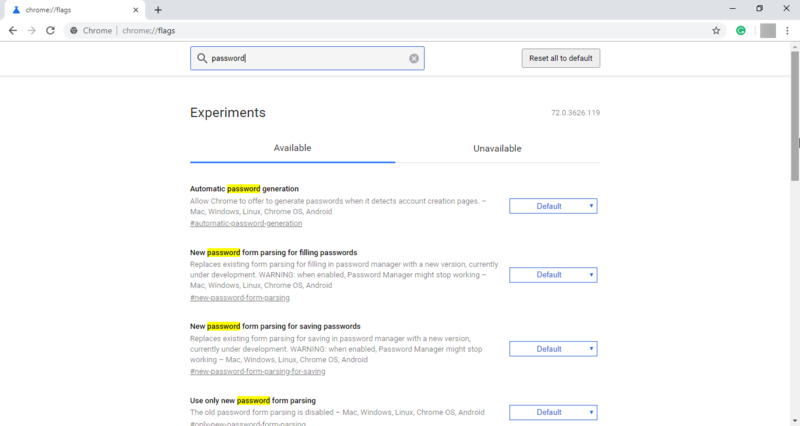 It will allow you to generate passwords on those pages that were not automatically defined as account creation pages but contain a password entry field. Click on the browser restart button (Relaunch Now) for the changes to take place. 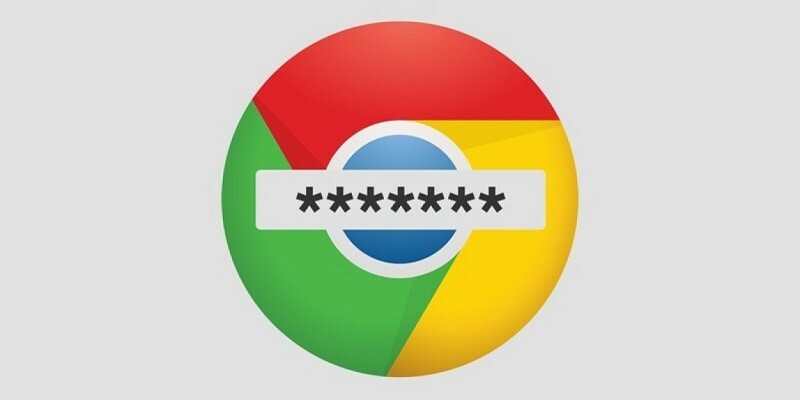 You are done, the next time you start Google Chrome, you can quickly generate a strong password when you need one. Let’s see how to do it. Click in the password entry field with the right mouse button and select “Create password”. After that, click on “Use suggested password” (below will be the password itself) to save it to Google Smart Lock and enter to input field. That’s all folks. Nothing complicated. Now your account will be protected with a strong password.